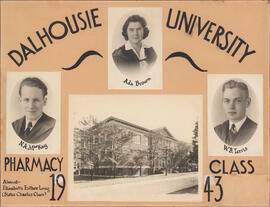 Item is a collage of the Dalhousie University Pharmacy class of 1933. 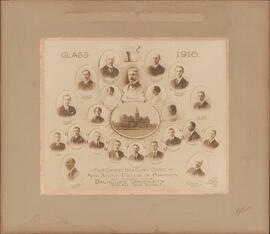 The collage consists of photographs of J. H. Stevens; F. H. Cole; and G. S. Joudrey arranged over a drawing of a banner. 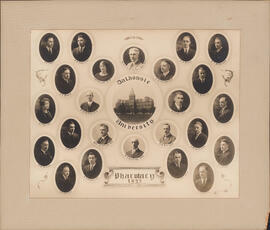 File contains correspondence between G.A. 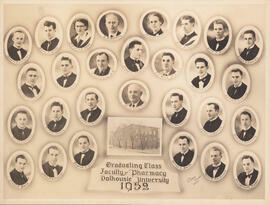 Burbidge and F.A. 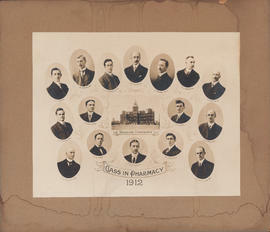 Jacobs, secretary of the Ontario Retail Druggists' Association. 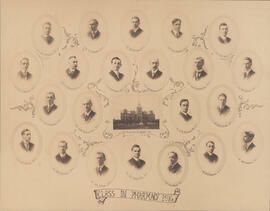 File also contains the bottom part of a mission letter. 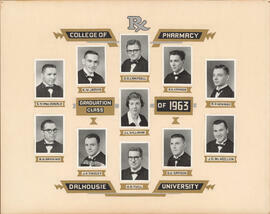 File contains a 2003-2004 annual report booklet for the Pharmacy Association of Nova Scotia. 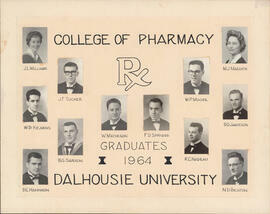 File also contains a leaflet for the 2004 Nova Scotia College of Pharmacists Awards. 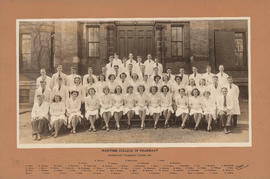 File contains textual records pertaining to the Pharmacy Examining Board of Canada, including correspondence, memorandums, income and expenditures, executive committee minutes, reports, news bulletins, and information of examination qualifications. 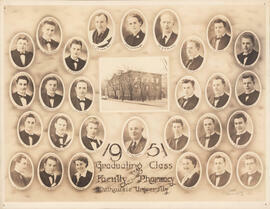 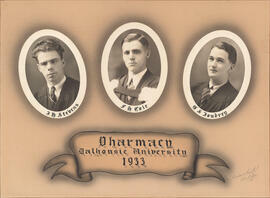 File contains a photographic collage of the Dalhousie University Pharmacy class of 1935. 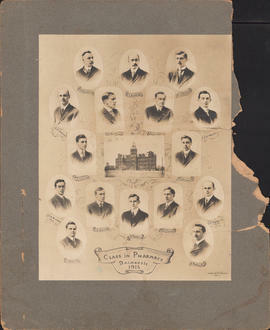 The collage consists of photographs of L. D. Sproul; L. C. Campbell; G. R. Buckley; and T. R. Cooke arranged above an illustrated scroll. 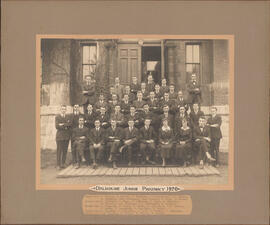 File contains photograph of the 1916 Class in Pharmacy and the Certified Drug Clerks Course class of 1916. 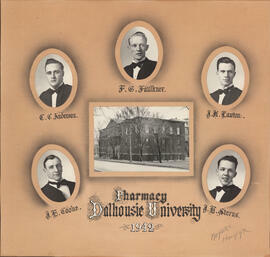 File contains a composite photograph of the Dalhousie University pharmacy class of 1915 and a photograph of the Maritime College of Pharmacy Elementary Pharmacy Course of 1946. 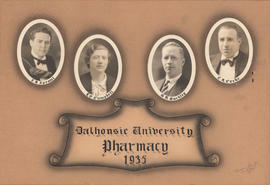 File contains a research paper submitted by Joanne MacDougall entitled "Sisters In Pharmacy", which focuses on Nova Scotian sisters involved in pharmacy. 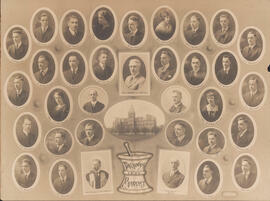 File also contains a card from Sister John Bosco to J. Gordon Duff.